Due to very few RSVP’s, we have decided to CANCEL this event. We apologize and wish you a very happy holiday season. Take an adult “time out” from the busy holiday season and swap, taste and share some homemade cookies. 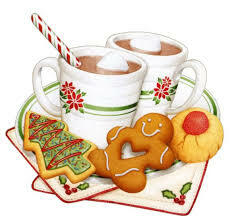 Enjoy some hot cocoa with a grown up twist or find out which wines taste best with which cookies. Bake SIX dozen of the SAME cookie – some to share/taste and the rest to swap – and leave with a HUGE assortment of cookies to give as gifts or share with friends and family! Don’t forget to bring your containers to bring your cookies home! or email your recipes to events@oaklandmills.org. To RSVP or for more information, please email Brigitta Warren at events@oaklandmills.org.